Yesterday while perusing my local Costco wine selections I came across one of my favorite combinations: a great vintage from a great producer at a great price and the icing on the cake was that the Hall Merlot had scored particularly well. Now in general my theory on critic’s scores is that they are best used as a guideline rather than a rule. With that being said, if 93 points from the Wine Enthusiast is any indication, then the Hall Merlot Napa Valley 2007 is at least worth some serious consideration. I have noticed that when the stars align and I come across all of these fleeting variables in one great package I never buy enough. So instead of buying one or two I picked up half a case of the HALL Merlot (I’ll probably regret not buying more but even at this price it adds up). I decided to substitute the lovely Mitolo Savitar McLaren Vale Shiraz that I had previously decided my father and I would enjoy over the joys of tax preparation later that evening with the Hall Merlot. I made that decision for a few reasons: I had already very much enjoyed the Mitolo’s Savitar Shiraz; I was excited to try the HALL Merlot; and because my father has a mild aversion to Merlot. I have been on a quest to prove to him that Merlot not only has it’s place in your glass, but that when well made it can be quite exemplary. It may not be the most popular side to take but few battles are as enjoyable as those involving wine! Appearance: A deep garnet but not quite purple. Nose: A nicely perfumed and floral nose of lavender and meat. The nose is inviting and promises a serious but elegant wine. Taste: A full throttle Merlot, this rich and mouth-filling wine delights with plums, dried flowers and meat. It maintains a rather velvety and smooth mouthfeel despite its dry and slightly peppery finish. Should You Buy? The HALL Merlot 2007 is an excellent Napa Merlot at a very reasonable price point, but at Costco’s price it’s an incredible value. Dad ceded that this Merlot had a beautiful nose, tasted great and was unlike most Merlot’s he had had (A solid complement considering his dislike for the varietal). But when prompted if he would purchase this, he said it was unlikely as he could find more interesting wines in this price point. While I was hoping for a conversion, I settled with the fact that he was impressed with the wine and that he at least enjoyed it. After all, if we all had the same palate that would probably make things pretty boring. 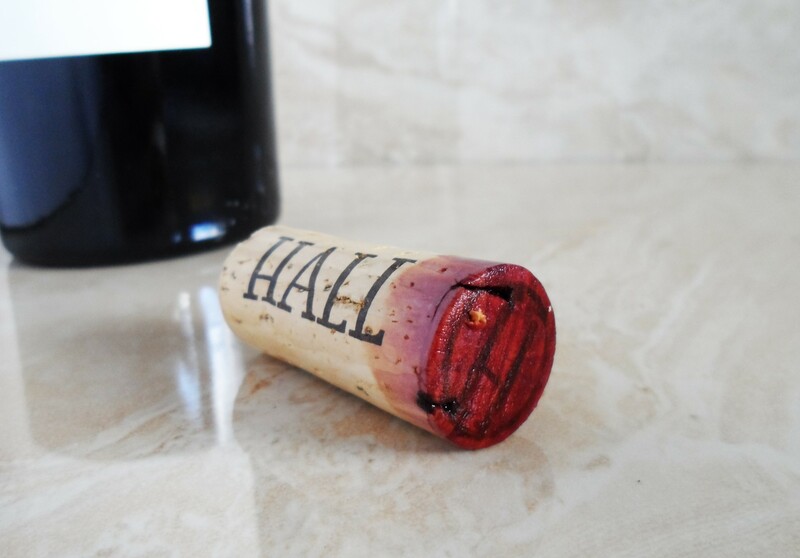 While I enjoy the occasional fruit bomb as much as the next guy, I find myself gravitating more and more to less fruity old-world style wines such as the HALL Merlot Napa Valley 2007. This wine is well-made and different from most run of the mill Merlot’s. It retails for $30, so at Costco’s price of $19.99 I think the Hall Merlot 2007 is both a great value and a great find. I also picked up some of Hall’s 2008 Napa Cabernet recently which Robert Parker scored 95 points. While twice the price of the Merlot, it still seems like a reasonable price for top-flight, highly acclaimed Napa Valley Cabernet. It’s an even easier decision to make when you consider that Hall’s Kathryn Hall 2008 Cabernet ($89) ranked second in Wine Spectator’s Top 10 Wines of 2011. The moral of the story here is that Hall seems to be doing something right. This entry-level offering sourced from two estate vineyards is a great way to sample what Hall has to offer without breaking the bank. It’s also from a great vintage and happens to have a little bottle age on it, so you could decant and drink it now or cellar it for a while. The next time you’re at Costco, I would pick up more than a few of these; just make sure to save a bottle or two for me! 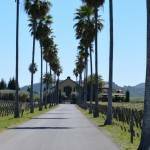 Wine Country – Details of our journey to Sonoma and Napa including Round Pond Estate, Ladera Vineyards, and Beringer Vineyards including a great Garden to Table Brunch at Round Pond Estate. This entry was posted in Between $15 and $19.99 | Reviewed, California Wines - Reviewed, Costco Wines - Reviewed, Red Wines, Under $100, Under $20, Under $30, Under $50, Under $75 and tagged Ardente Winery Cabernet Sauvingon Gran Riserva 1997, Costco Wine, Great napa vintage, HALL Cabernet, HALL Cabernet 2008, HALL Merlot, Hall Merlot Review, HALL Napa Valley Merlot 2007, The Fermented Fruit, vintage, wine ageing, Wine Bargain, Wine Deal on March 10, 2013 by The Fermented Fruit.